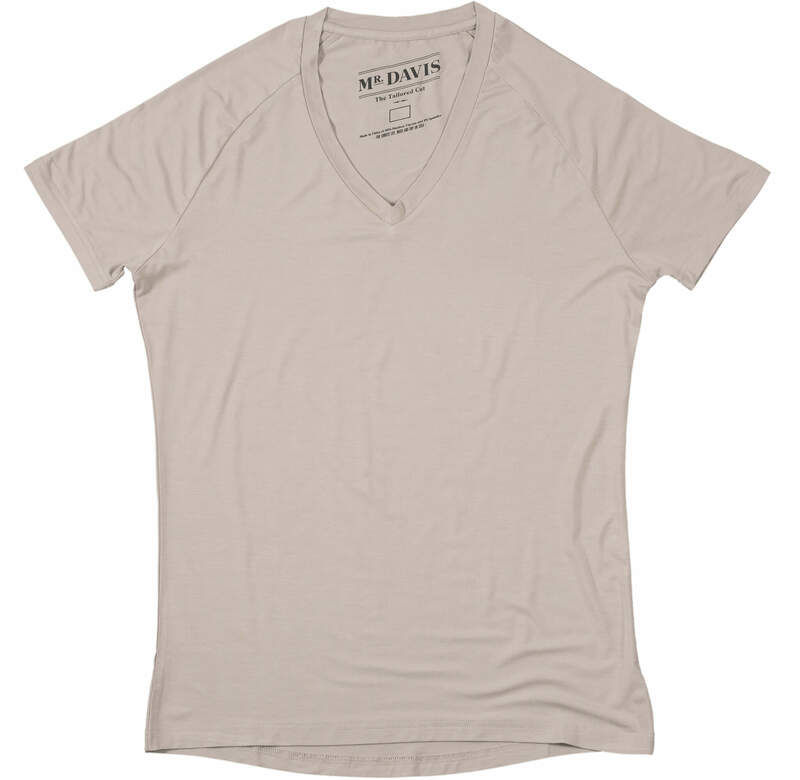 The Most Comfortable Undershirt: Mr. Davis Offers the Best Fit, Comfort. Your size recommendation will appear here. 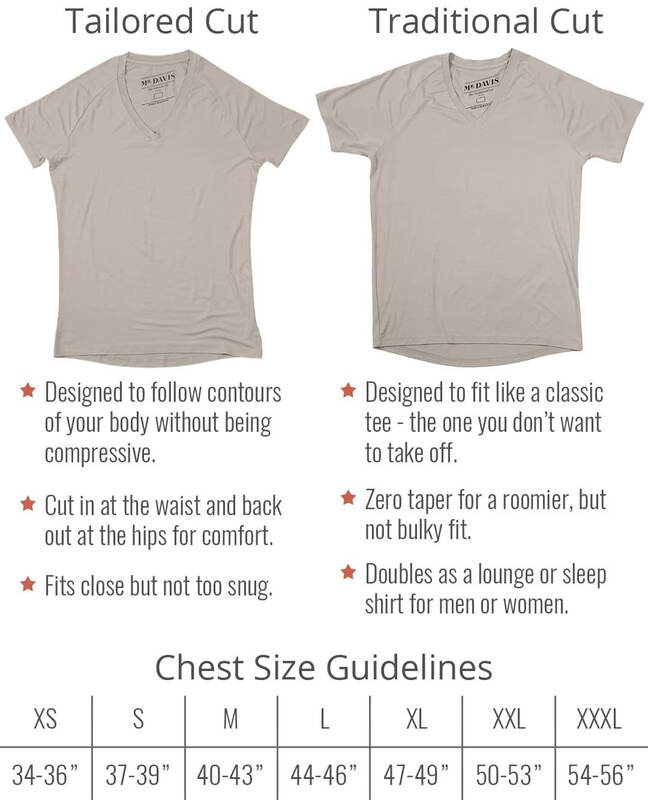 Click here for detailed cut and size guide. Sourced from Bamboo, our shirts are way softer than cotton, with light stretch so they don't constrict. Tailored and sewn to 10 mm tolerances with durable seams and refinement throughout. We sweat the details. Buy it for life. If you find a workmanship issue with your undershirt, send a picture and we'll replace it. No more constant retucking. Our shirts lie flat and stay tucked so you stay comfortable. No middlemen. Minimal packaging and waste. Save 50-100% over competitors. Free US exchanges and returns on unwashed shirts. Try it on. Don't like the fit? Email us for a free shipping label. “Just wanted to say that your shirts are the best I have found, by far. Designed to follow contours of your body without being compressive. Cut in at the waist and back out at the hips for comfort. Fits close but not too snug. Designed to fit like a classic tee – the one you don’t want to take off. Zero taper for a roomier, but not bulky fit. Doubles as a lounge or sleep shirt for men or women. See why we have 98% satisfaction. It's time to change your undershirt. Free returns and exchanges. Satisfaction guaranteed. With Mr. Davis, No One Can See Your Undershirt. 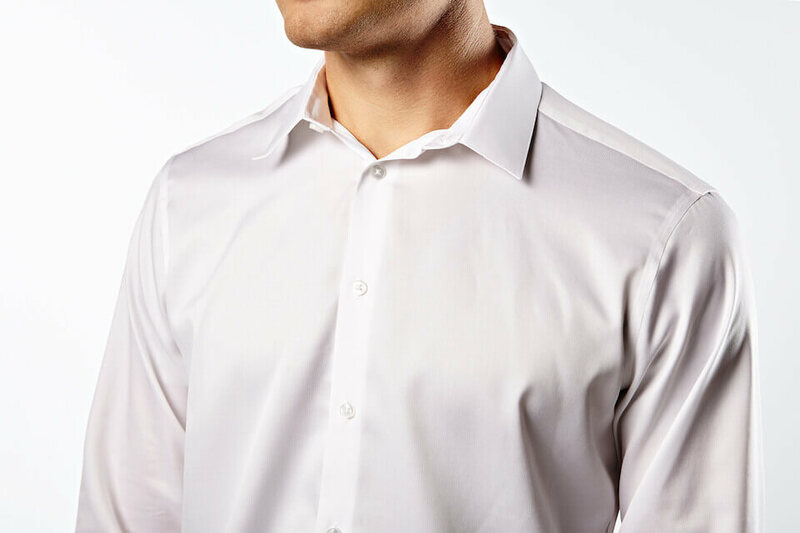 A white undershirt makes the fabric of light dress shirts brighter, causing your sleeves and neck line to show through. Images taken in identical conditions with no manipulation. 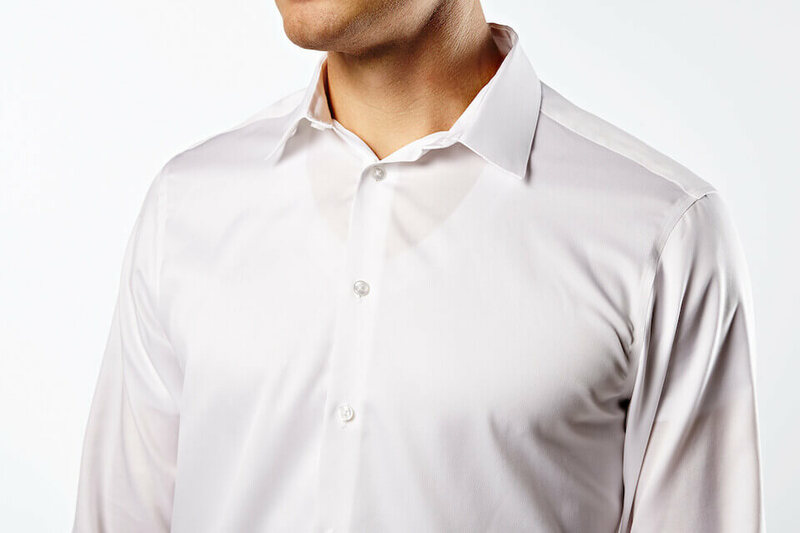 Mr. Davis Tone Undershirts blend in with a broad range of skin tones to hide under your dress shirts. No wonder some people call Mr. Davis the Invisible Undershirt. How are Mr. Davis undershirts cut? Our Traditional Cut fits more like a traditional t-shirt. The Tailored cut is for people who prefer a more athletic cut, or who are lean through the waist. On both cuts, the sleeves are shorter than a polo sleeve and allow for unrestricted movement. On both cuts our V is a little deeper than a standard V neck. Our aim is for our shirts to hide, so we think it’s a feature, not a bug. If you like a shallower V, we suggest you err on the small side when you pick your size. 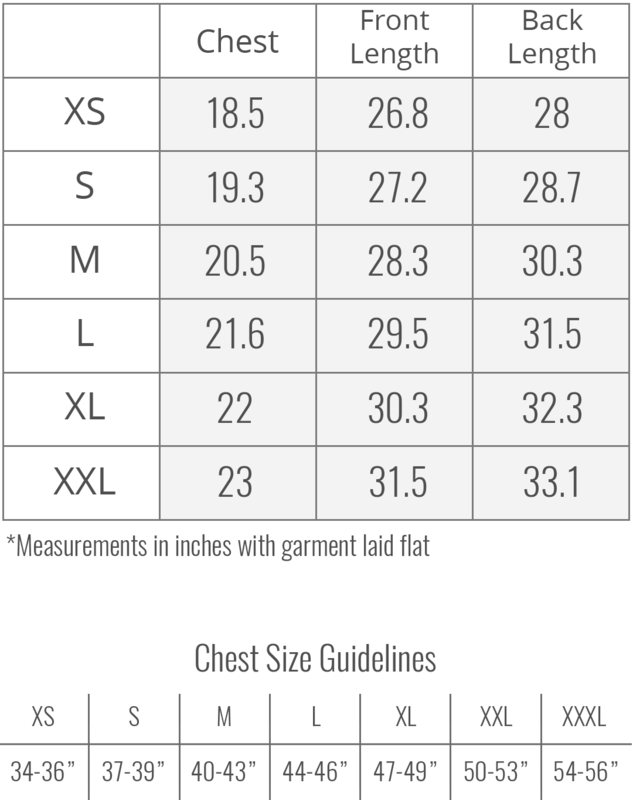 If you prefer a more snug fit, and you are on the borderline of our size chart, you may want to size down. 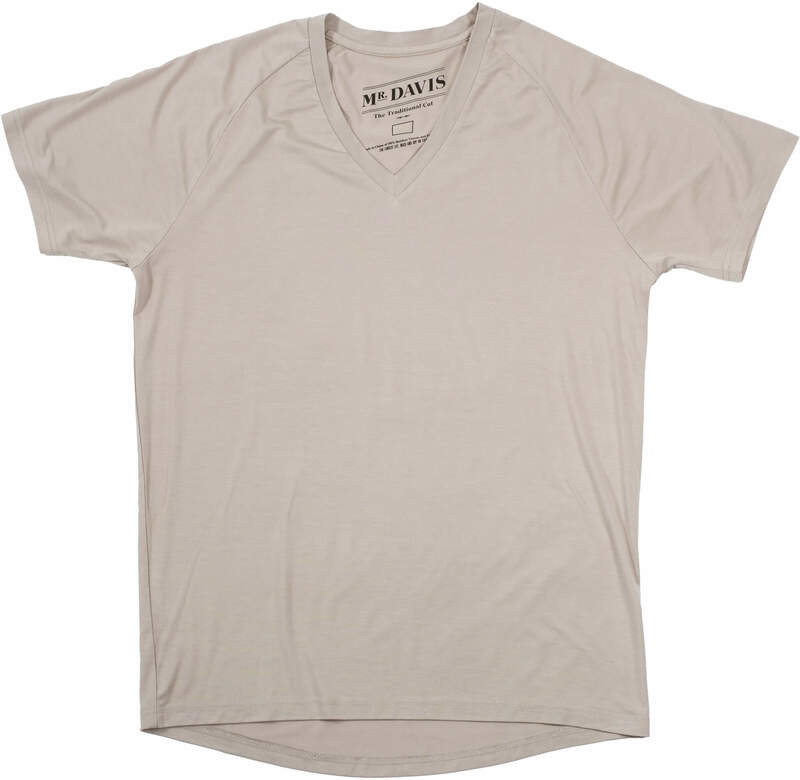 Mr. Davis undershirts are designed to be comfortable, no matter your body type. Why do you use Bamboo Viscose for the shirts? Because it’s great stuff. Technically, it’s one of the softest fabrics in the world. Combined with spandex, it stretches to make you feel like you’re not wearing an undershirt. Lastly, it has a lot of the characteristics of advanced technical fabrics in that it wears cooler than cotton and wicks moisture off your body to make you feel comfortable. For sustainability, we believe bamboo is a better product than cotton. Unlike cotton, which requires massive amounts of water to grow, bamboo requires almost no irrigation. And while there is some physical and chemical processing required to weave bamboo into cloth, it grows so fast that it’s sustainable. We think it’s a responsible environmental choice. How should I wash my Mr. Davis undershirts? Our official advice is to wash on cold and dry cool or hang dry. In reality we wash and dry on warm and the shirts don’t suffer much for it. They will wear a bit more and shrink a bit when you treat them poorly, so keep that in mind.